.grameen kalyan www.grameenkalyaninfo.org -started from interesting question posed by Grameen Bank when it started to design microinsurance- if -in the then world poorest 100 million person nation (of which a near majority may be children) you have next to zero health service infrastructure in rural Bangladesh what can you offer for $1 per month health insurance per family. .got everyone ever connected with grameen to start asking this question in early 1990s and accelerated this search once mobiles reached villages from 1996 on -more. .Clean energy, health.. .Bangladesh... .Exponential rising Success Factors (eg million solar installed doubling every 3 years) -depended on getting 1000+ engineers to live in villages -massive logistics challenge only possible once engineers empowered by mobile phones another global village first of grameen with some financial help from Soros and knowledge support from Neville Williams whose own self franchise never quite inspired so many village engineers but was built pre-mobile age - Grameen Energy is the most benchmarked case of the ashden energy Oscars ...more..
.16 School in the clouds Sugata Mitra.. .Education.. .India... .Could you ever look at western history of schooling systems in the face again once you know of this?.. 19 Maker Faire... .Revalue value chains.. .... .Celebrating artisan skills - bridge this between community markets and community education selecting what generations of knowhow have made uniquely local.. 21. * Free dairy market by BRAC.. ... .Bangladesh... .Similar impacts to freeing poultry markets..
23 * Free Communities hardest workers from loan sharks... The Grameen Bank -also at 00 where we look at Microbank infrastructure as part of the founding nation's development ... .Bangladesh... .While the idea came to Dr Yunus in one 1976 experiment, it took 7 years for his female founding partner Mrs N Begum to design both the 16 decision culture that village mothers wanted and to specify the job of the branch manager to care for 60 village centres of 60 women members a week integrating their community market needs, knowledge development as well as their financial services -more..
.24 * Freeing childrens first 1000 days of health.. ... ..Bangladesh.. .In Bangladesh, 20% of infants died until the local presence of Grameen and BRAC shared the knowhow of oral rehydration, Of surviving infants many were night blind due to vitamin deficiency - the microfranchise solution - grameen bankers first non financial service selling small packets of carrot seeds with the result that each banking centre's franchise became twinned with a vegetable garden! ..
.31 wholekidsfoundation versus tragedy of us school lunch.. ... ... .why shouldn't the purpose of the school lunch be the most nutritious event in a child's day- an example of totally unsustainable misconception of how local government sees its role .more..
37 metahub : partners in health - see capacity training in haiti. ... ... out of boston and the social labs of mainly Haiti and Rwanda , paul farmer has ben changing how allocations of funds to global healthcare are used - instead of just valuing whether a funde acrtion achieved a narrow goal , use that money to build capacity recognising that there will always be a next global health crisis (tb, aids..) which farmer defines as being a communicative disase that we can only rid world of by serving rich and poor's opposite types of delivery solution..
38 metahub ceu - founded by soros in Budapest- probably the number 1 pro-youth university of a non online sort -will it join open edu partners in time?. -more ... ... .. In different ways, Grameen and BRAC have established over 200000 village centres where the poorest not only develop the nation (Clinton 2008 assessment ) through sustainable financial services but organise community markets and operate microfranchises so that value chains pay sustainable wages to hard working people however small their enterprise. These centres also offer at least weekly meeting spaces where all of the community of members share knowhow, The centre may be only hi-trust space and infrastructure that poor mothers village have to communally enjoy as well as build self-respect . BRAC's DNA was as the world's first bottom-up relief agency beginning 1972 a year after the nation's birth. A very local cyclone and tsunami killed nearly half a million people - and sir fazle abed (founder of BRAC) found his office (at the time of the Shell OIl company) just about the last resource standing. Yunus returned to Bangladesh that year from gaining a professorship in economics from a Fulbright scholarship to USA, and instead of celebrations of independence was soon to witness a million person famine. By 1974 he left his cushy job as economics professor at Chittagong University and recruited a selection of his students to start village experiments on what could be done to end hunger. In 1976 he converged on the idea of microloans, and microsavings. However (see Yunus female founding partner Mrs Begum's reminiscence of the time) the exact womens centre format took 7 years of microfranchsie development building a 16 decision culture representing what village mothers defined as sustainable progress - more than anything to use the surplus from their income generation to invest in their children's job creating education. What had started in 1976 as Grameen project, became Grameen Bank with its own unique ordinance in 1983 (politically rewritten 2012) . One of the original 16 decisions (conditions of grameen membership) is a commitment to send every child to primary school-something which was actually made possible by BRAC's development of tens of thousands of informal primary schools (Montessori in style) in rural areas that government of the fledging nation had no capacity to develop. Still, Bangaldesh had the opportunity to be the world's first pro-poor digital and social laboratory, The hunt for global village technology partnerships designed round the world's most urgently needed service solution could now start to accelerate at moores law speed of replication. Today Grameen and BRAC are not only the source of the greatest number of life critical microfranchsie services but they offer the most exciting training modules millions of youth can enjoy in free online university and education formats. - see moocyunus (grameen) and planetmooc (BRAC). In 2008, we asked: what would help? And help the most? People from more than 170 countries submitted over 150,000 ideas in response. From that group, we narrowed down the list to 16 top idea themes addressing important common goals. Project funded: The Khan Academy is a non-profit educational organization that provides high-quality, free education to anyone, anywhere via an online library of more than 1,600 teaching videos. We allocated $2 million to support the creation of more courses and to enable the Khan Academy to translate their core library into the world’s most widely spoken languages. Project funded: FIRST is a non-profit organization that promotes science and math education around the world through team competition. Its mission is to inspire young people to be science and technology leaders by giving them real world experience working with professional engineers and scientists. We allocated $3 million to develop and jump start new student-driven robotics team fundraising programs that will empower more student teams to participate in FIRST. Project funded: Public.Resource.Org is a non-profit organization focused on enabling online access to public government documents in the United States. We allocated $2 million to Public.Resource.Org to support the Law.Gov initiative, which aims to make all primary legal materials in the United States available to all. Project funded: Shweeb is a concept for short to medium distance, urban personal transport, using human-powered vehicles on a monorail. We allocated $1 million to fund research and development to test Shweeb’s technology for an urban setting. Project funded: The African Institute for Mathematical Sciences (AIMS) is a center for math and science education and research in Cape Town, South Africa. AIMS’ primary focus is a one-year bridge program for recent university graduates that helps build skills and knowledge prior to Masters and PhD study. We allocated $2 million to fund the opening of additional AIMS centers to promote graduate level math and science study in Africa. Each idea is a broad, ambitious, many-year mission. We hope you will follow the progress on their websites. Thank you to everyone who supported Project 10^100 by voting on ideas or submitting your own. Your participation has helped make these ideas come to life. And, as always, may those who help the most win. - a look at the most cheering chart in the world of 1970s -how Asian countries started benchmarking Japan's 500% rise in sustainable rice production makes one wonder why isn't this data publically webbable -or is it? Treadle Pumps were invented in Bangladesh to be the optimal size for the small plot farmer. Larger pumps while seemingly more efficient created problems with the pump owner increasingly overcharging others who needed water supply. The most accessible description on Treadle pumps that I know of is provided in the book out of poverty by Paul Polak who has spent most of his life distributing these sorts of pumps. They are now used in about 10 countries. They are ideal in hot humid places that get most of their rain in the monsoon season. The treadle pump enables its owner to drill down typically 12 feet to underwater streams that such climates typically offer. FRANCE 24 latest world news report Vaccines ... International Medical Secretary with Médecins Sans Frontieres - Doctors Without Borders. The conditions into which a child is born affects not only her future opportunity, but also her position in society. Poverty itself can limit society’s expectations of the child’s ability to perform well in school, constantly reminding her of the miniscule chance she has to overcome adversity and poverty. 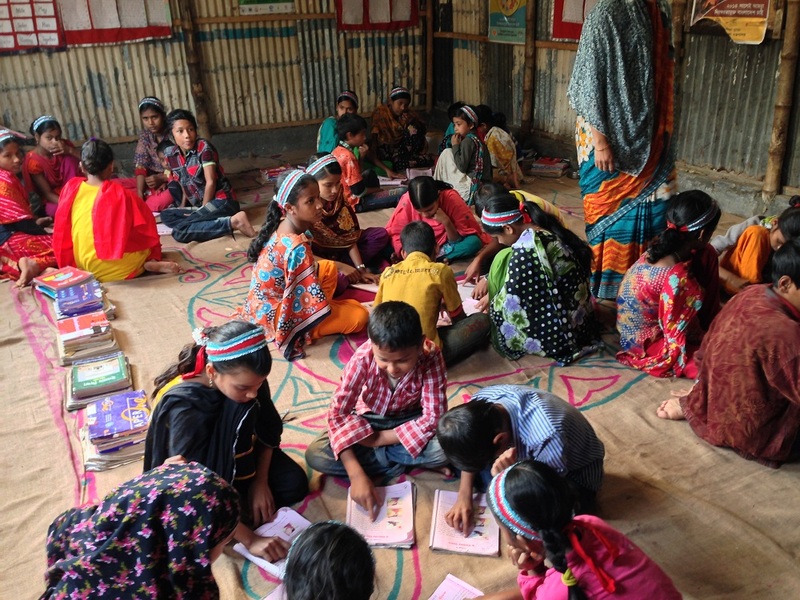 In Bangladesh, BRAC has raised those expectations among the hardest-to-reach children. Recent results from the national Primary School Certificate examination, required for secondary school admittance, has shown BRAC primary school students outperforming their peers, with a pass rate of 99.93 percent, compared to the national pass rate of 97.35 percent. Those results are consistent with BRAC’s original goal when it started its non-formal primary education program back in 1985, which was to mainstream the hardest-to-reach children into formal government secondary schools. With a drop-out rate of only six percent, 93 percent of BRAC primary school students successfully integrate into government-run secondary schools. How has BRAC achieved such positive results? By adapting low-cost solutions—radically low-cost. In Bangladesh, BRAC can educate a child for roughly USD 32 a year. That’s just 32 US dollars for a one-room school, a BRAC-trained teacher, and basic didactic materials—for a full academic school year. Beyond the provision of essential infrastructure, critical student-centered pedagogy has been a crucial, if not most important, component of BRAC’s success. BRAC’s Founder and Chairperson, Sir Fazle Hasan Abed, shaped both his personal perspective and organizational philosophy on the ideas of Paulo Freire. As Freire argued in Pedagogy of the Oppressed, the oppressed must overcome mental oppression first to begin undermining other, more outward forms of oppression. Unlearning traditional education and relearning what education is in Freire’s conception has been the key for BRAC and its partners. Understanding the mental and physical complexities of poverty and oppression, in addition to radically low-cost solutions, has allowed BRAC to pioneer an education model with proven impact. Today, BRAC’s education programs are expanding beyond Bangladesh, to Afghanistan, South Sudan, Pakistan, Uganda and most recently the Philippines, while continuing to adapt to the demands of changing societal and global contexts. The provision of quality education, not just access, must move to the forefront of the development discourse. For that to happen, we must first unlearn and relearn what a quality education actually is.